We want you to feel the magic of Paris! Paris Your Way is dedicated to enhancing your Paris experience by assuring that you embark on your journey well-prepared with ideas and recommendations that are a true fit for your personal interests and travel goals. 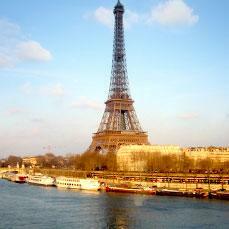 The company’s philosophy is a product of our founder and owner Margie Rubin’s life-long love affair with Paris. Her passion for Paris is contagious, and our goal is to share her enthusiasm with you in a way that will be the most meaningful to you. Margie lives part time in Paris, where she spends most of her waking moments exploring every corner of this beautiful city. Even when she can’t physically be in Paris, Margie maintains her connection with the city she loves by continuously reading, researching and updating her extensive files, which means you can be assured you will be “in the know” on everything from the latest must-see exhibit to the hottest new dining venue. We are confident that your Paris vacation expectations will be more than fulfilled by Margie’s sharing of her personal knowledge, vast store of information and firsthand experience.